If you had room for one adventurer to go with you into the distant future to help you battle the Morlocks and rescue Weena, which one of those two would it be, Indy or Rick? PS. Assuming that you could make a quick stop from Victorian times on your way to the far future, and you stopped in the Interwar period to grab one of them. Rick O Connor by a hair. He has more weapons choices. O'Connell. In a straight-up tunnel fight, go with the guy who keeps an arsenal in his trunk. If you wanted to identify artifacts, obviously you'd go with Indy, who can read and write. 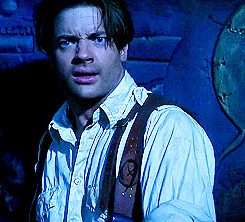 Rick is the better fighter, Indy would be more useful getting the museum artifacts going again. But for a pure rescue mission, give me Rick. Rick and his missus :) you have both covered! Rick and bag of weapons. It's part of the rules to a gun fight. 2. Anything worth shooting is worth shooting twice. Ammo is cheap – life is expensive. If we expanded this list I wouldn't take Han Solo either, because for a smuggler to only carry only one gun on him is asking to get whoopped. Never bring a machete or a whip to a gunfight. Bring Rick. PLus Rick brings better friends than Indy does. He has his wife and her brother, both of whom are excellent shots, his son who is pretty tough and the Medja. Plus he definitely has a better arsenal. yeah, Rick for the win. He is a brawler. Indy is useful in a fight but Rick is a combat machine. However I could see the two being a solid team! Indiana Jones singlehandedly took out a tank, and pummeled the whole Third Reich with his bare knuckles. Do you still have your 15mm Rick? So what would your starting squad be if you could take a few folks forward to fight morlocks? Can take them from either all of history or just from The Time Machine forward? I'm told there are some boxes with minis at my sister in law. I'm hoping Rick and Benny are there. If not, then I'll just have to order myself another set from Rebel Minis. 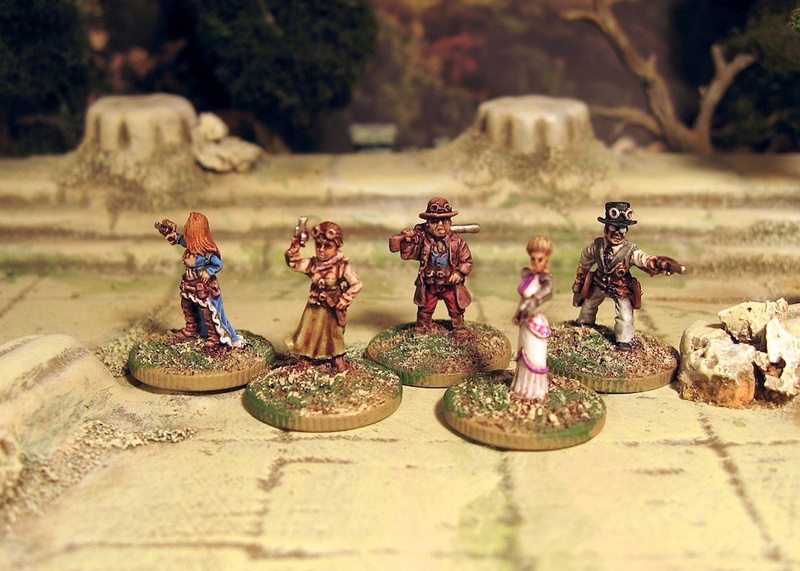 Initially I was thinking of including a handful of Victorians, and then a couple of add-ons from later decades, recruited along the way. Baden Powell for certain. Bat Masterson? Not one of the fighting pimps, not BP (he has a number of black marks on his record and wasn't that good in personal combat). Just go down the VC and Medal of honor lists until you find one you like. I'd like Commando Kelly, as long as you could keep him away from booze. For a real Victorian League of Extraordinary Gentlemen, I think you'd have to include Sir Samuel Baker and Fred Burnaby, for starters, then add Fred Selous and James Hope Grant. All useful men to have on your side when going up against Morlocks. Sherlock Holmes of course. If we need some boffins they are available a plenty. Annie Oakley! Wow, that would be fantastic. She wouldn't waste as much ammo as Rick would. One shot, one kill. Would this be your work? And, if there was room for a biologist/entomologist, this 21st century girl might just get that seat … Nancy Miorelli. Oh, great. 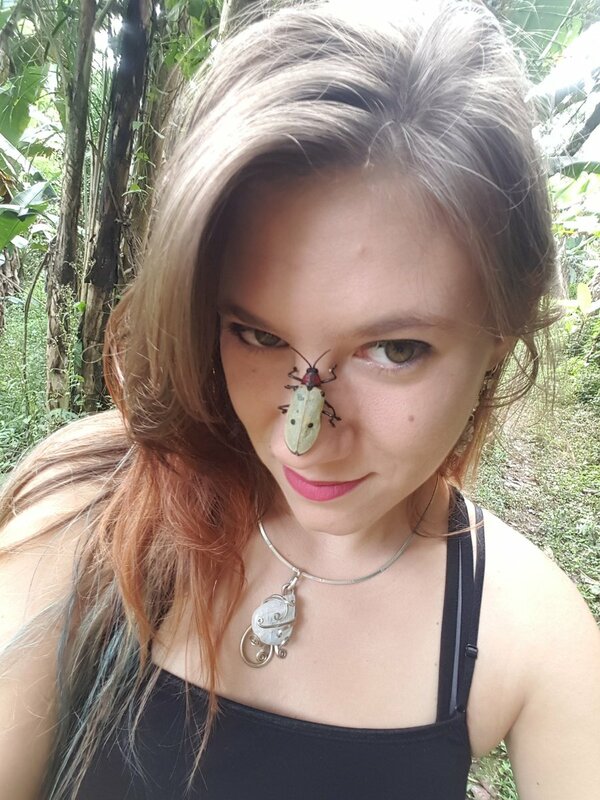 I google her, and find pictures of her face-bugging giant cockroaches. Ferris Bueller. He always gets the girl and never gets caught. Why fight the Moorlocks when you can trick them into doing a charity bikini carwash while you sneak away with their captive? He would con the rest of the party into doing all his work and then he would claim all the credit if we pull it off, and accept none of the blame if everything falls apart and most of us get killed because of his complete lack of any real contribution. And when the nest of Morlocks gets stirred up and they all come swarming out after us, somehow Bueller would make sure that all of us ended up running a little bit slower than him. My vote is for Rick, he has experience with mummies and others.